Along with her three sisters, and two friends, I first met Melissa in the ballroom at Strawberry Creek on her wedding day! The amazing staff were busy setting tables and putting out the beautiful green and white floral arrangements and decor, while Melissa helped get the slideshow presentation ready for later. Let me just say - she was calm and cool as could be, and I knew that the rest of the day would go by perfectly smooth. Once Jonathan was ready, the two of them said a prayer together, and we moved outdoors to the ceremony location. Gia Bella did an amazing job on the flowers, and ceremony music was provided by Racine String Quartet. Melissa's amazing dress, from Imaginations Bridal truly was stunning, with almost pink hues underneath the outer layer - which was covered in gorgeous beading. Thanks to a little cloud cover, the ceremony was absolutely perfect, and was followed up by cocktail hour and entertainment by Lane Alexander from Kuhl Entertainment. Lane kept the party going - and even though Jonathan said he wasn't going to dance - I caught him out there having a blast for most of the night. After cupcakes had been served by Lovin' Oven, the staff at Strawberry Creek brought out an ice cream bar! Love when couples have a late night desert! Overall, it was a perfect day, and to top it off, we were able to get away for a few sunset photos - which is one of my favorite things to do!! 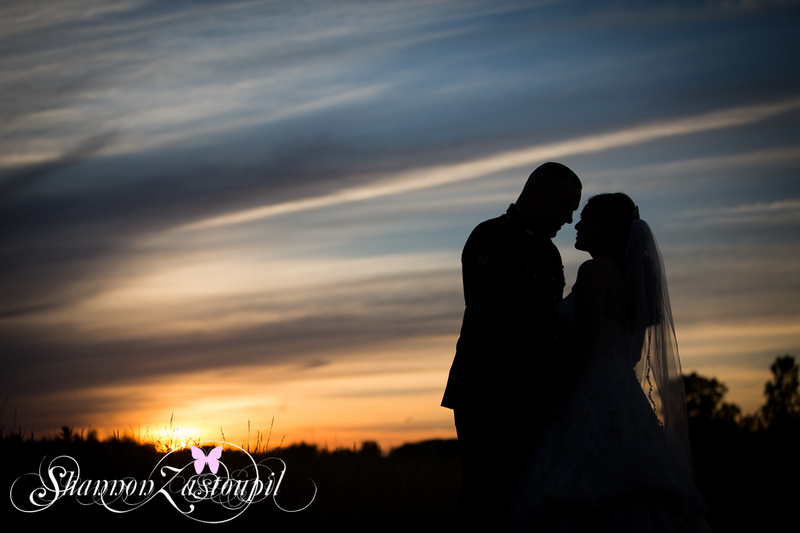 A huge thanks to Jonathan and Melissa for allowing me to capture their love for each other on their wedding day! Parkside Ballroom Reception, Mathea & Danny are married! Tracy & George’s Wedding day!